If you are a company that wants your website to actively generate new prospects (and who would say no to that? ), then you need to understand SEO - Search Engine Optimization. I’m sure you’ve heard of it and are likely already practicing it to some degree, but here’s a checklist to ensure your prospects are finding you (rather than your competition), when they go searching the web. Think of SEO as building the roads and updating all the maps across the web to ensure that people will know you’re out there and want to come visit. First a little background: Search Engine Optimization is defined by Wikipedia as “the process of affecting the visibility of a website or a web page in a search engine's "natural" or un-paid ("organic") search results.” In other words, it is how you format your website content to best tell the search engines (i.e. Google, Yahoo, Bing, etc.) what you do, and to do it better than others so that you rise in the rankings of organic, unpaid search results. Ok great, you know what it is but what do you do about it? It makes sense to hire an expert – but before you start spending money, get a little education so you aren’t duped by unscrupulous “Black Hat” SEO companies that promise to get you to page one in the search rankings for your keywords. In addition to making false promises, these guys can actually hurt your reputation in the eyes of the search engines. Check out what Google recommends for selecting a good SEO company. These are the words (and word strings) that potential prospects use when searching the web for your products and services. Don’t assume you know which words are most effective (or that you will be successful in getting placed higher than your competition just by using them). Ask current clients and prospects how they search online and use tools to help you narrow in on the keywords that will have the best chance to improve your ranking and start sending prospects to your website. HubSpot and SEOMoz both have helpful tools to help you understand which keywords have the best chance to start sending more traffic your way. Don’t forget “Long Tail Keywords”. These are the word strings that get more specific - about the what and the where of your business. For example, Marsden & Associates determined it would be very difficult to get to the first page of Goggle search based on “Marketing Agency”. 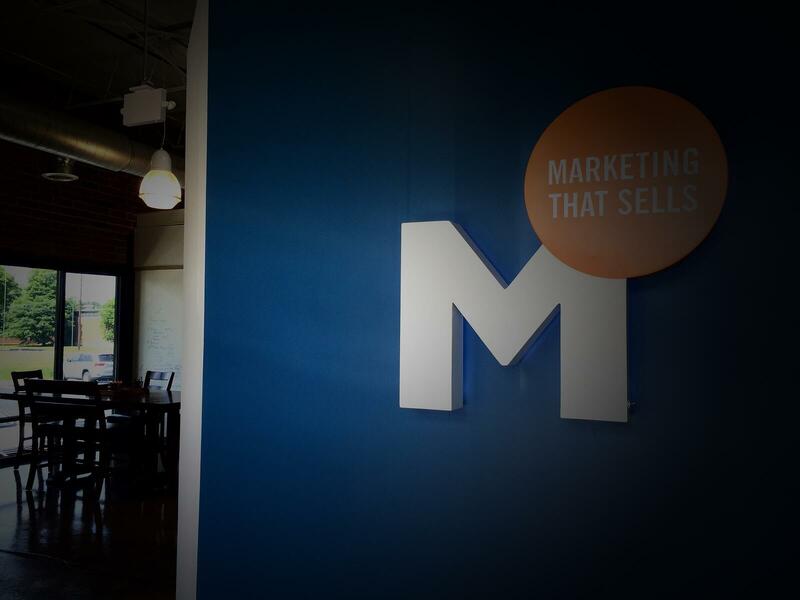 So instead we focused on optimizing our website for “Atlanta B2B Marketing Agency”. In a few months, we were on the first page – and getting calls from prospects looking for exactly what we’re good at. You need to be sure your keywords are appropriately included on the appropriate pages of your site. HubSpot has a great Excel Spreadsheet to help with this. Be sure to not repetitively use keywords as that diminishes SEO value. Limit page titles to 70 characters, and page descriptions to 150 characters. Remember that people, not just search engines will see this, so use keywords, but also write them for your prospects. Descriptions should NOT have content repeated exactly as on the page – that will hurt your SEO as well. Visual content – like graphics and videos make your content more interesting and increase the likelihood that visitors will stay longer and share your information with others. By including appropriate keywords in the ALT tags, you’ll tell the search engines that this visual content relates to the keyword and will be counted as additional, useful content in their rankings. Don’t stop with steps 1-5! Linking your keywords between the various pages of your site not only provides more interesting navigation for your readers to follow around your site, it is telling the search engine that your site is full and rich with content that related to that keyword. 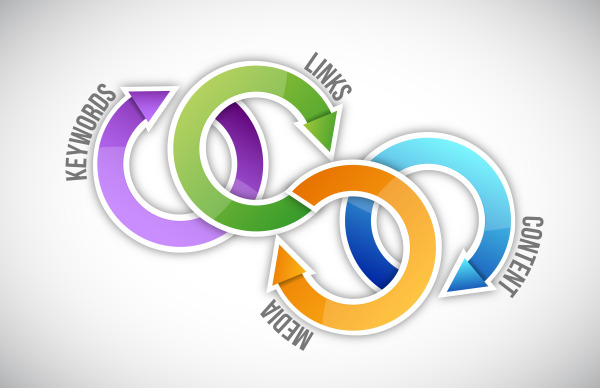 Search engines reward this type of linking with higher rankings. It takes time for search engines to crawl your site and adjust your rankings. The more frequently you add relevant content, the more frequently they will come back. Plus the more keyword-rich content you add to your site (with blog posts, new videos, and additional website content like case studies), the higher you will rank for quality keyword-based content. Plus, your visitors will be rewarded with more information about your services – and that’s the real goal. Here’s a super useful and easy to use template from HubSpot to guide through these steps and put you on the way to better SEO. And for more information on how to generate more leads from your website, download our free Inbound Marketing E-Guide.